The first reference of the city dates back to 1154. 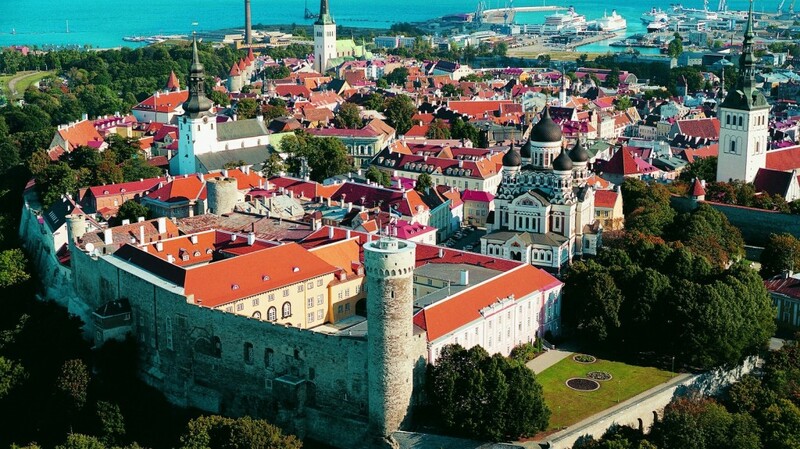 In the capital and the biggest city of Estonia there live about 500 000 people. The old town is declared a UNESCO World Heritage Site. The most part of buildings, the network of medieval streets and the most part of the fortress wall (one of the mostly preserved old town walls in Northern Europe) with all the towers and gates are extant from the 9th-15th century up to nowadays. The streets and historic building of the city have become the scenery for many Soviet films, where Tallinn mainly represents towns of other countries. Only in 5-minute walk from the medieval Old town there is a prosperous business center of Tallinn: modern skyscrapers of glass and steel, high-technology hotels and conference centers, hundreds of restaurants and bars, banks and shops.